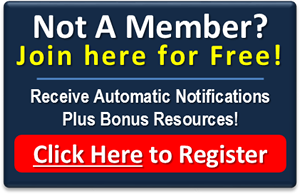 Monday Oct 27th – Financial Freedom From 7 Deals in 5 Years Or Less! Ultimately, all property investors are after financial freedom. While we each might have different reasons to want to reach this goal, our drive to uncover the rewards of investing is that we might reach financial freedom soon enough to fulfil our destiny in the world. For some, “destiny” might be retiring in comfort on an exotic island and for others, it might be a philanthropic pursuit or even another business goal! Whatever the reason, property investing can get us to our dream… if we succeed. Especially when we are starting out, many investors struggle with the concept of how to plan to grow a portfolio in such a way as to achieve financial freedom in a short space of time (years instead of decades). With so many options for what you can buy, and with uncertainty about the property market in the future, how do you create a plan to build a successful portfolio, that is right for you? This month’s speaker is a property entrepreneur and an experienced coach and mentor – and he will share the path that an investor can take, to create 7 property investing deals in 5 years which will provide financial freedom – if you are willing to invest in it. Network with investors who are in the market right now, and hear insights into the market today. Our Speaker for this month is Brendan Kelly of RESULTS Mentoring. A highly experienced investor, and author of acclaimed Australian property book The Real Deal, Brendan has coached over 1,000 property investors in the strategies and techniques for profiting in property and is known for his blunt approach to ‘telling it like it is’. Can you believe that it is now 73 days until Christmas? With 2014 nearly over are you tracking to achieve everything you wanted to achieve this year? What can you do differently next year to make 2015 YOUR YEAR of success? In this Property Meeting you will uncover the mindset you need to escalate your progress towards financial freedom today. So come and meet Brendan, and network with like-minded property investors who are achieving success in the property market right now. Parramatta RSL - Macquarie Room, cnr Macquarie and O’Connell Sts, Parramatta. Free parking opposite the club in covered car park. Posted on September 23, 2014 by Mark K.